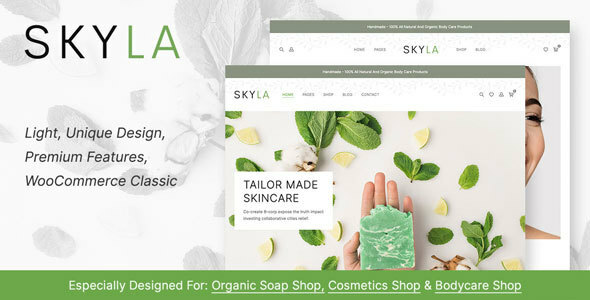 Skyla is a classic WooCommerce WordPress Theme with unique details of design. Especially designed For Organic Soap Shop, Cosmetic Shop and Bodycare online store. Take your WooCommerce website to the next level with the Skyla WordPress Theme.